The Mexican peso is trading at $12.33 MXN = $1 USD. President Calderon said "Mexico is replacing Canada as the second largest exporter to the United States in non-energy products." Askalo is an online community where users can connect and ask eachother questions about what is going on in their city. If you are new to a city and would like to find an Italian restaurant, just post your question and in minutes you will have answers. Need to find the best bank? Wondering what events are happening this weekend? Just ask! LinkedIn: Are you using LinkedIn for your international or expat business? Out of all the ways to connect, LinkedIn is one of my favorite platforms. It allows you to connect with people you know, but also allows you to reach out to people you would like to meet or do business with (in a professional manner!). If you are not currently using LinkedIn for your business, its time to sign up! From Alumni groups to groups about a specific niche in your field, you can find a group on LinkedIn for almost anything. I really like the Connect to Mexico group, which is a group of professionals from all over the world who either currently do business with or hope to do business with Mexico. If you've ever wondered who the person in charge of purchasing is at a certain company, you just might find that info on LinkedIn. The search feature allows you to search for people by name or company. You can see all of the employees (well the ones registered on LinkedIn) that work at a certain company. Have you ever worked with someone that went above and beyond the call of duty? LinkedIn has a feature where you can write a short recommendation about someone, so when people go to their page they will see that other people vouch for them. You can ask for recommendations as well, from former colleagues or people you've done business with. As you add more contacts, you will get to see their Twitter updates, books they recommend, where people are traveling, and much more. Telmex posted its latest earnings this week and the results were not so great - a 21.5% drop in third quarter profits. 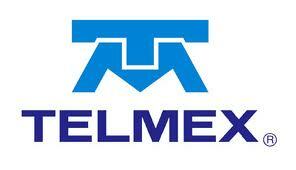 Telmex, owned by Carlos Slim (the world's richest man), is Mexico's largest fixed-line company. In some parts of Mexico, your choice for a new phone line is either Telmex...or Telmex. Telmex control's nearly 80% of Mexico's land lines. So if Telmex is virtually a monopoly, what is going on to cut their profits so drastically? All over Mexico, cable companies have started to offer "triple play" packages which is a bundle that includes TV, internet, and phone service all for one low price. Cablevision, Megacable, Telecable, Cablecom, are just a few of the companies that are offering these packages. In Mexico, price is king, so it won't be long before Telmex comes up with something to compete with the cable companies. One of Telmex's latest packages (which I love) is a package that allows you unlimited calls throughout Mexico and the United States for $1,099 MXN/month. If you call the United States often and live in Mexico, I highly recommend this package. It also includes internet service. PS- Did anyone else notice the Telmex logos on the Chilean miners rescue jumpsuits? This guy is everywhere!!! I find that a lot of people come to the Mexipreneur site in search of etiquette tips, so today I'm going to cover something that is a huge source of confusion for a lot of people - the greeting. In the United States and Canada, when meeting someone you are going to do business with the typical greeting is to shake hands. After spending sometime in Mexico, you will notice that men and women greet eachother with a kiss on the cheek. This is the typical greeting of friends and family (sometimes accompanied with a hug!). Navigating how to greet people in the business world can be tricky because if you are meeting someone for the first time you really can't be considered friends, so what do you do? If you are a woman, do you kiss your Mexican business colleague on the cheek or just shake hands? It's funny because many Mexicans are used to foreigners being uncomfortable with the "kiss on the cheek" greeting, so they will go ahead and shake your hand before you even have time to overanalyze how to handle the greeting. You know what they say..."when in Rome, do as the Romans do." I would encourage you to follow local customs when it comes to greeting potential business partners. If you are a man, the standard handshake will do. If you've become good friends or have known the person for awhile, the handshake will be accompanied with a pat on the back. The best thing you can do is be observant. Before you know it you will become so comfortable that you'll look back and laugh about how you stressed over a simple greeting. A fantastic book that covers doing business in over 60 countries is Kiss, Bow or Shake Hands. This book is a must read for anyone involved in international business. Guess who's coming to Mexico? Payless Shoes! Payless Shoes announced this week that it will begin expansion into Mexico late next year by partnering with Grupo Axo, based out of Mexico City. Payless is looking to expand its international footprint and fill a need for low cost, fashionable shoes. In addition to opening stores in Mexico, the company also plans to open in Indonesia, Malaysia and Singapore. The partnership will open 41 stores in the next 3 years, hoping to open around 300 over the long term. Grupo Axo is a good choice for Payless as they currently represent some very popular brands in Mexico: Benetton, Brooks Brothers, Brunelo Cucinelli, Coach, Emporio Armani, Etro, Guess, Marc Jacobs, Rapsodia, Thomas Pink and Tommy Hilfiger. Today the Mexican Peso is trading at $12.38 MXN = $1 USD. This morning I came across a story that made me do a double take when I read the headline - Student, 20, named police chief of violent Mexican border town Guadalupe. Marisol Valles is studying criminology and was apparently the only one brave enough to accept this position. If you are reading this post, you are either already living/working in Mexico or you are seriously thinking about it. So what is holding you back? You wake up excited. You have got a great business idea that will allow you to live comfortably on the beach in Mexico (with lots of hard work of course!). The idea is almost bursting out of you...then you tell your closest friends. "Are you SURE about that?" "But what about your job?" "It sounds nice, but who knows if it will work." "You don't even speak Spanish!" "Mexico! Are you crazy? They are killing everyone!" All of the sudden, you feel deflated and start to doubt your idea. Sometimes the people you believe to be your biggest supporters turn into your biggest critics. They don't necessarily do it to discourage you - they just don't get it. Do not let your peer group discourage you. If you are truly passionate about an idea, delve into it with laser sharp focus. This is not an excuse. I know very successful business people who have seen an opportunity in the Mexican market and jumped on it, without speaking the language. You SHOULD learn the language, not because it is a requirement, but because it will enrich your life and give you opportunities that you otherwise might not have. There are Spanish schools, books on tape, podcasts, conversation meetups, etc. Foreign law seems scary because we are dealing with the unknown. When you think about it, how well do you really know the law in your home country? We all like to think we do, but when it comes down to it, unless you have studied the laws it is most likely that your knowledge is cursory. There is a reason that lawyers and business advisors exists - use them!!! I've been guilty of this many times in many areas of my life, until I really drilled this phrase into my brain "There is never a right time." I know it sounds extreme, and you may argue till your blue in the face about how you just are waiting for X to happen and then you'll be ready. Have you ever thought about what would occur if X happened and you still weren't ready? Jumping in* is hard, but it is the best way to get started. *Jump in after you have done some research - jumping in blind could shoot your anxiety levels through the roof and be totally counterproductive! On March 1st, the US had placed a ban on imports of Mexican shrimp due to complaints that Mexican shrimpers were not respecting the sea turtles. 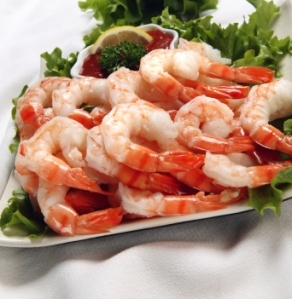 As of last week, the US recertified Mexican wild shrimp for import into the US. This is great news for Mexican shrimpers because the majority of their exports went to the United States. Mexican shrimp exports will also help cover the shortage due to the Gulf oil spill. According to FIS News (Fish Information & Services), "Mexican authorities designed and launched the Emerging Plan for the Proper Use of devices for the exclusion of sea turtles (TED) and the Work Programme 2010-2012, which will enable the country to have a regional model for the shrimp industry." Since Facebook saw such tremendous growth last year in Mexico, I thought it would be interesting to take a look at another player in social media. 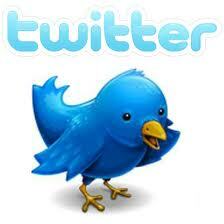 -As of August 2009, there were 32,000 Twitter accounts in Mexico, by January 2010 that number quadrupled! As of July 2010, there almost 2 million accounts. I highly recommend using Twitter as a way to reach out to potential customers, mentors, friends, etc in Mexico. The power of this social media tool is amazing. Today the Mexican Peso is trading at $12.39 MXN = $1 USD. Below is an interesting article by Adam Thomson, in the Financial Times about Mexico's finances. When it comes to emerging markets these days, it is not often that Mexico outshines Brazil. But this month, Latin America’s second-largest economy did just that as it issued the region’s first century bond as well as the largest amount placed with a 100-year maturity: $1bn. There is little doubt that the milestone – achieved at a modest yield of 6.1 per cent – could not have happened were it not for record-low interest rates in industrialised countries and investors’ voracious search for higher yields. For those expats who are undecided about what kind of business to start, franchises are a good option. While there are pros and cons to opening a franchise anywhere in the world, opening a franchise as an expat gives you the systems and guidelines you need to make the business work. Another very important point is to watch the trends in the United States and Europe because Mexico tends to adapt the same trends several years later. At the beginning of 2005, a frozen yogurt chain called Pinkberry took Southern California by storm. 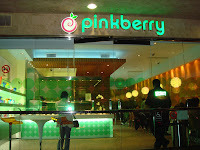 People were lining up to get their hands on the yogurt and soon after Pinkberry had a cult like following. 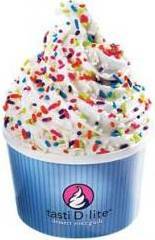 Other chains followed - RedMango, YogiBerry, etc. Mexico didn't have many frozen yogurt shops, but I saw three franchises pop up on a two block stretch of Masaryk (The Rodeo Drive of Mexico City) in less than one month - Tasti D Lite, Yogen Früz (a Canadian chain), Moyo Frozen Yogurt. The point here is to always be looking for trends in other countries because most likely, sooner or later those trends will become popular in Mexico. It is crucial to analyze the franchise and see if it really fits into the Mexican culture. Another good way to get a gage on what could be successful is to look at where Mexicans who travel are going when they are abroad. Here is a link to Mexico's Franchise Expo (franchises from around the world). Today the Mexican Peso is trading at $12.49 MXN = $1 USD. Please notice the new currency application on Mexipreneur on your righthand side! I know some of you may be thinking, "I already know how to write an e-mail...what could be so different in Mexico? E-mail is e-mail." While the technical aspects of writing and sending an e-mail may be the same, the content is very different. Let me show you an example of what I mean. Let's say you were waiting for someone in Mexico to send you an important report on Tuesday morning. Tuesday afternoon rolls around and you still haven't received anything. You promised to have that report to me this morning. What happened??? Please send it ASAP!!! Anyways, do you happen to have the report ready? My boss is coming down hard on me and you could really help me out if you sent it over. I would really, really appreciate it!!! See the difference? I know some of you may be thinking, "But why should I kiss Juan's a** if he OWES me the report and he's already late?". To you, it may seem counterintuitive, but guess which e-mail will get a positive response? E-mail number 2. It's not about kissing anyone's a**, it is about showing concern for the person behind the e-mail. In Mexico, it is very important to show that you care. That is a major difference that you will notice while doing business in Mexico. So, in conclusion, when writing an e-mail to someone in Mexico, try not to be so "to the point". Remember to ask people how they are doing once in awhile, it can't hurt you. 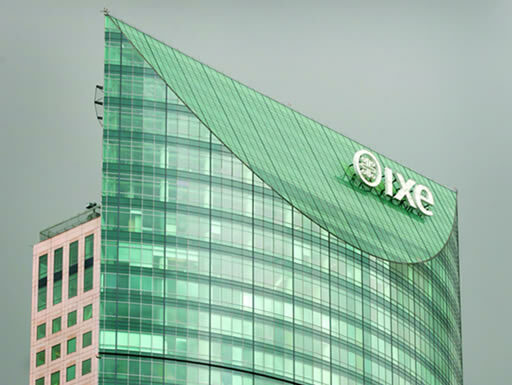 It seems that the last fully owned Mexican bank, Banorte, is looking to purchase Banco Ixe. While nothing is set in stone yet, the purchase would make Banorte the third largest bank in Mexico after Citibank/Banamex and BBVA Bancomer. 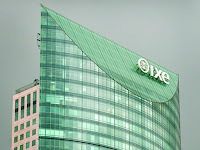 Banco Ixe is a small "boutique" type bank that has seen tremendous success in Mexico. It has set itself apart by offering a unique customer service experience, treating each customer with respect and specialized attention. Banorte has had its share of ups and downs this year, including the credit it lent to failed airline, Mexicana de Aviacion. Banorte is also considering expansion into the United States. Banorte is headquarted in Monterrey, Nuevo Leon.